How To Enable The Flip-3D Effect In Widows 7.
back home » Knowledge Base » How To Enable The Flip-3D Effect In Widows 7. Flip-3D makes things easier when working in multi-window mode. It's a window switching mechanism which cascades windows with a 3D effect. This first appeared in Windows Vista and Window 7 is still bearing this powerful effect. 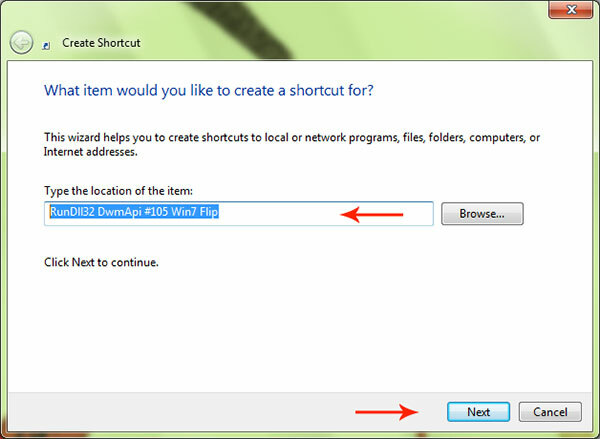 In this tutorial I'm going to show you how to easily enable the use of the flip-3D in Windows 7. Creating A Shortcut To Enable The Flip-3D. First of all Copy "RunDll32 DwmApi #105 Win7 Flip" without quotes onto clipboard. 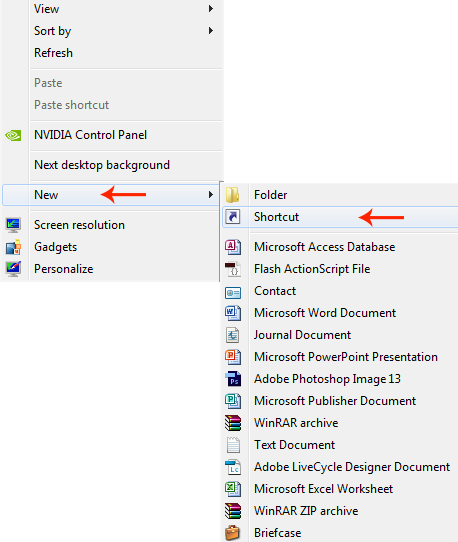 Right-click a free space on your desktop, select "New" and then " Shortcut" from the context menu. See Illustration below. Click and paste the above onto clipboard copied "RunDll32 DwmApi #105 Win7 Flip " into the Shortcut's dialog's input field and then click the "Next " button. See Illustration below. Re-enter a recognizable name for the Shortcut and click "Finish" to finally create the Flip-3D Icon onto your desktop. Simply open some windows [from two upwards, looks better with more window opened] double click the Flip3D Shortcut you just created or press "ctrl + windows icon" and then, the "tab key" to display windows in 3D on your desktop. You can easily flip through windows with the tab, left, right, up, or downn keys and hit the enter key to open the current window fully. You can also click on the current window to open it fully. How To Change Shortcut's Icon Image. Right-click on the Flip3D Shortcut on your desktop, select "properties", click on the "Change Icon" button and enter "Imageres.dll " without quotes, into the input field windows, Flip-3D Icon button will appear in the top left corner, select it and click the OK button to close and accept changes. Enable Win Desktop Icon Transparency. Explaining UEFI, EFI, And BIOS.